How Much Compensation Can I Claim For A Theme Park Accident? Theme parks are meant to provide a fun experience. Unfortunately, this is not always the case. While accidents are rare, they do happen, and visitors end up injured because of the negligence of others. If this is something that has happened to you, you will be able to make a claim for theme park accident compensation. We know that the last thing you want to think about at this time is a legal case, but it is important that you get the compensation you deserve. While we cannot take away the pain and suffering, we can make sure that you do not suffer financially because of it. After all, why should you have to experience a loss of income and medical expenses because of an accident that was not your fault? We will be with you every step of the way, and we aim to make the claim process as straightforward and stress-free as possible. So, to get started, read on to find out everything you need to know about theme park accident claims. A guide to theme park accident claims. What is a theme park accident? Theme park accident caught on tape or video. Have you been injured in a theme park accident? What should you do if you or your child has been injured in a theme park accident? Fatal accident and death due to a theme park accident, can I claim? Who is responsible for theme park accidents? What can I claim for after a theme park accident injury? The long-term effects of a theme park accident. Theme park rollercoaster accident claims. Who can claim for a theme park accident? No Win No Fee theme park accident compensation claims. What are the most common theme park accidents? Most popular theme parks in the UK. What kind of evidence do you need to make a theme park injury claim? How to start your theme park accident claim. Why choose us for your theme park accident claims service? We have helped many children and adults that have been injured as a result of an accident at a theme park or fairground. There are strict health and safety procedures in place that must be adhered to by anyone involved in the design, maintenance, construction, organisation, and operation of an amusement park. If these rules have not been adhered to, and you have been injured as a consequence, or someone you love has been involved in a fatal accident, we can help you get the full payout you deserve. A theme park accident is any type of incident that has taken place at a theme park or fairground and result in injuries. To make a claim for such an accident, you need to prove that the incident was someone else’s fault. Aside from this, the accident must have occurred within the past three years, as this is the time limit on all personal injury cases. Theme parks are the place we go to have fun, but for some people, fun is the last thing they experience. The video below reveals some of the deadliest amusement park accidents caught on tape. 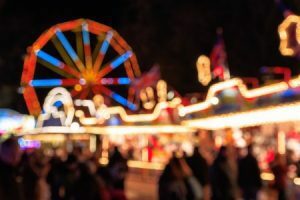 If you have been injured in an amusement park accident that was not your fault, it is important to get in touch so we can help you to secure the compensation that you deserve. The most important step is always to get the medical attention you require. Even if your injuries are minor, it is important to see a doctor. This is because the medical report is one of the most crucial pieces of evidence in any case. Once you have done this, give us a call, and we will do all we can to secure compensation for you. If your child has been injured at a theme park, you will be able to claim on their behalf. You have three years from the date of the accident to do this. If you do not make a compensation claim, your child will have three years from the date of their 18th birthday to make a claim on their own behalf. If a loved one or family member has been involved in a fatal accident at a theme park, you will be able to make a claim on their behalf. This is so long as you are a family member or dependant of the deceased. You will be able to claim a bereavement award, as well as funeral expenses, medical expenses, punitive damages, and general damages. As part of the Health and Safety at Work Act, fair owners, operators, and managers have a legal duty to maintain their machinery. They must ensure it is kept in safe working order, so employees and the general public are safe. If these regulations have not been adhered to, the theme park and anyone involved in the error will be to blame. The Health and Safety at Work etc. Act 1974..
Work at Height Regulations 2005..
General damages: This relates to the compensation you will receive for the pain and suffering you have experienced. This will be determined based on the medical report that your doctor has put together. Special damages: This refers to the payout you will receive for any out-of-pocket you have encountered as a direct consequence of the accident. For example, this could be anything from childcare expenses and counselling costs to loss of income. It is important to make sure you have proof to claim for special damages, so keep hold of any receipts. Medical expenses: This refers to any medical expenses that have been incurred as a direct result of the theme park accident. 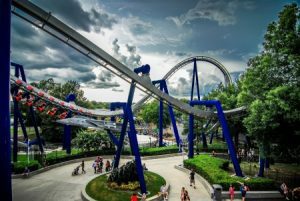 This can include costs that are incurred immediately after an accident at a theme park, such as emergency treatment costs, and can include ongoing expenses such as prescriptions for medicines required for treating the injury/injuries in the future. A UK theme park ride accident can have both physical and mental long-term effects, for which you will be able to claim for. This can include anything from on going head injuries to post-traumatic stress disorder. Alton Towers hit the headlines over the past few years when a rollercoaster collision left several people seriously injured. This highlights just how serious a risk amusement parks pose. From ineffective safety barriers to falling signs and defective rides, there are many different problems that occur while on a rollercoaster if it has not been maintained properly. So long as you can show the incident was not your fault, you will be entitled to a theme park accident payout. The accident was caused by the negligence or error of someone else. The accident happened within the past three years. You have seen a medical professional for your injuries. Parents can also claim on behalf of their children, and you can make a claim if you have lost a family member due to a fatal theme park accident. There is the option to use a theme park accident compensation calculator to determine how much money you could be entitled to. However, it is important to recognise that it is impossible to give you an exact figure. This is because every case is unique, and it would be wrong to promise you a certain amount of compensation without being sure. Death (unconsciousness following a brief period of awareness) £12,800 - £300,000 can be higher Lung Damage and or severe burns causing serous pain followed then by full unconsciousness after 3 hours and death within 2. Death (unconscious death within six weeks) £12,800 - £300,000 can be higher week period; or extensive orthopaedic and very severe chest injuries from which recovery was underway made, but complications supervened causing death eventually. Death (unconscious death within one week) £12,800 - £300,000 can be higher Unconscious following injury, death within one week of injury. Death (full awareness) £12,800 - £300,000 can be higher lung damage and/or severe burns causing you to have serous pain then followed by full unconsciousness after three hours and death within 2 weeks; or very severe chest and extensive orthopaedic injuries whilst recovering, but complications supervened causing death eventually. Mental anguish £3,550 Fear of impending death/reduction in expectation of life. For the parent of young children suffering such mental anguish for a period of around 3 months. iv. age and life expectancy. Very Severe Brain Damage £214,350 - £307,000 There will be little, if any, evidence of meaningful response to environment, little or no language function, double incontinence and the need for full-time nursing care. Less Severe Brain Damage £11,650 - £32,700 In these cases the injured person will have made a good recovery and will be able to take part in normal social life and to return to work. There may not have been a restoration of all normal functions so there may still be persisting problems such as poor concentration and memory or disinhibition of mood, which may interfere with lifestyle, leisure activities and future work prospects. Severe neck injuries £34,575 - £112,750 At the bottom end of the payout scale, this relates to injuries causing fractures or dislocations or severe damage to soft tissues and/or ruptured tendons that lead to chronic conditions and significant disability of a permanent nature. The highest payout is for a neck injury associated with incomplete paraplegia or resulting in permanent spastic quadriparesis or where the injured person, despite wearing a collar 24 hours a day for a period of years, still has little or no movement in the neck and suffers severe headaches which have proved intractable. Moderate neck injuries £6,000 - £19,000 Moderate injuries include the likes of dislocations and fractures, with payout based on the severity of the injury. Minor neck injuries Up - £6,000 This bracket includes minor soft tissue injuries. Most severe back injuries £69,200 - £122,350 Cases of the most severe injury involving damage to the spinal cord and nerve roots, leading to a combination of very serious consequences not normally found in cases of back injury. Minor back injuries Up to £9,500 This bracket includes less serious strains, sprains, disc prolapses and soft tissue injuries. Severe shoulder injuries £14,600 - £36,500 Often associated with neck injuries and involving damage to the brachial plexus resulting in significant disability. Serious shoulder injuries £9,700 - £14,600 Dislocation of the shoulder and damage to the lower part of the brachial plexus causing pain in shoulder and neck, aching in elbow, sensory symptoms in the forearm and hand, and weakness of grip or a fractured humerus leading to restricted shoulder movement. Moderate shoulder injuries £6,000 - £9,700 Frozen shoulder with limitation of movement and discomfort with symptoms persisting for about two years. Minor shoulder injuries Up to £6,000 Soft tissue injury to shoulder with considerable pain, but almost complete recovery within two years. Loss of Both Legs £183,000 - £214,350 This is the appropriate award where both legs are lost above the knee or one leg has been lost above the knee at a high level and the other leg has been lost below the knee. Below-knee Amputation of Both Legs £153,200 - £205,300 The level of the amputations will be important, with an award at the top of the bracket appropriate where both legs are amputated just below the knee. Below-knee Amputation of One Leg £74,475 - £101,075 The straightforward case of a below-knee amputation with no complications would justify an award towards the bottom of this bracket. Funeral costs £3,000 - £10,000 Possibly more than £10,000 in certain cases. Punitive damages £1,000 - £275,000 Possibly higher maximum payout in certain cases, dependent upon the complexity of the claim. Pain and suffering £1,000 - £200,000 Maximum payout driven by level of pain and suffering experienced. Loss of benefits £5,000 - £500,000 Possibly higher maximum payout in certain cases, calculated based on actual lost income. Loss of anticipated earnings £10,000 - £400,000 Potential for higher maximum payout based upon cases with higher future earning potential. Based on calculation of current pay grade and future prospects. Loss of care, protection and companionship for family members £2,000 - £100,000 Possibly higher maximum payout in certain cases driven by number of family members and level of loss encountered. service. All of our theme park injury solicitors work on a No Win No Fee basis, offering you a degree of financial protection. No Win No Fee means that you will only need to pay legal fees if your case is a success, in which case the fee will come from the compensation payout. If, for some reason, we are unable to secure compensation for you, you won’t need to pay legal fees. This eliminates the financial concern, and it also reassures you that we only take on cases that we believe have a genuine chance of success. Lack of protection on a ride. Accidents on amusements and games. Carriages coming loose from rides. It does not matter how the accident occurred, or what ride it was on, so long as it can be proved that someone else is to blame. You can also claim for injuries that were caused due to food poisoning, as well as slips, trips, and falls. If you have had an accident at any of the theme parks below, please contact us for free legal advice today from our expert theme park injury lawyers. Don’t worry if you were injured at a theme park that is not on the list, as we will still be able to help. Photographs – If you have any photographs of the accident scene or your injuries, they could help to strengthen your claim. Witness statements – We will aim to get statements from anyone that witnessed the accident. Proof of expenses – Please keep any receipts relating to the accident, as well as proof of loss of income. This enables us to claim for this as special damages. Medical report – Your doctor will put together a medical report that details your injuries, the extent of them, and the treatment recommended. Starting your theme park accident claim couldn’t be easier. All you need to do is give us a call, and we will advise you on the following steps. We appreciate that this is a difficult time in your life, and so the last thing we want to do is add to the stress you are experiencing. This is why we deal with all claims in the most efficient manner, taking the weight off your shoulders. We take pride in our customer-centric approach. We genuinely care about your suffering, and it is always our aim to secure the maximum amount of compensation for you in the quickest and most stress-free manner. Your needs will always be our main priority. We will listen to your version of events and ask all of the necessary questions so that we can provide the best advice for you. Our legal advice comes with no obligation, and it is completely free of charge. We will take you through all of the steps that are involved in claiming, so you can have a full understanding of what is entailed, and we will be with you every step of the way. It is always our aim to secure the maximum amount of compensation possible, and we always operate via a No Win No Fee service. This means that you can always be certain that you will never be out of pocket due to making a claim. If you have been injured in a theme park accident that was not your fault, all you need to do is give our friendly and professional team a call on 0800 073 8804. We will happily answer any queries you have, and our legal advice comes at no cost to you. How Much Compensation Can I Claim For a Slip Trip or Fall? A list of amusement park incidents. Health and safety guidelines for fairgrounds. Health and safety fairground updates and news. Back Injury Claims Find out if you can claim?